Alas, all good things must end, and D and P had to return to NashVegas, as they call it. 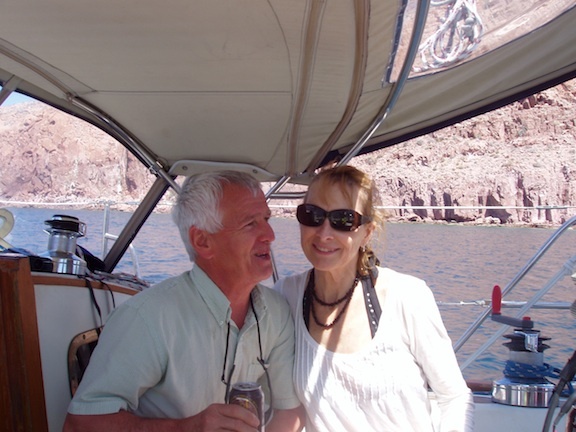 We pulled anchor in Isla San Francisco and motor-sailed to El Mezteño, a small cove on the west side of Isla Espiritu Santo. We arrived at dark and hoisted anchor after a pleasant morning aboard. We enjoyed much-needed showers, then a fine meal at Rancho Viejo when we arrived in Marina Palmira. Debbie and Philippe returned to Nashville the next morning. 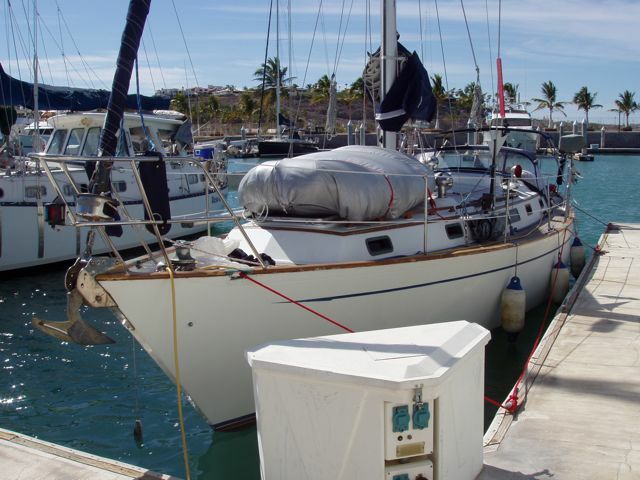 Debbie and Philippe are excellent company and easy to live with aboard. Family in the sun. 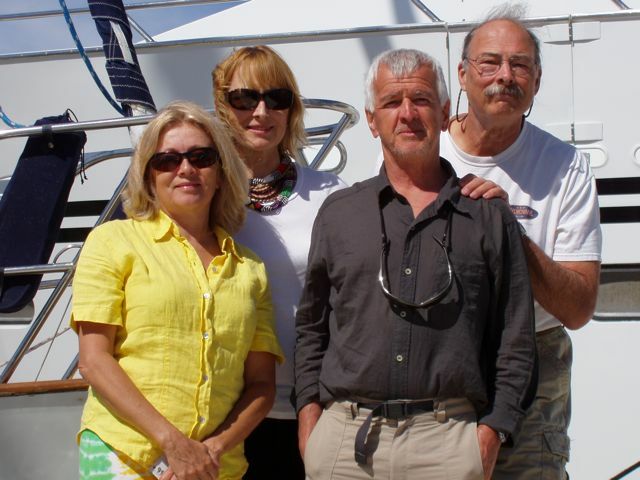 Conni, Debbie, Philippe, and Bill squint into the morning sun as we say farewells.